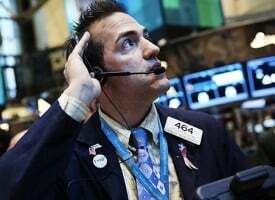 Today the man who first predicted Greek bank deposits would be stolen warned King World News that the catalyst for the next global crisis is about to be triggered. 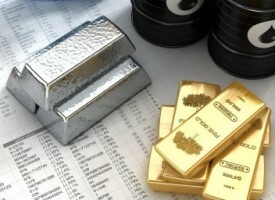 He also discussed the shockwaves that will result from the coming crisis as well as what to expect in the metals. James Turk: "Slowly but surely, Eric, the bulls are gaining control of the precious metals market. We are seeing evidence of that again today. To explain this point, we first have to look at what happened on Friday…. 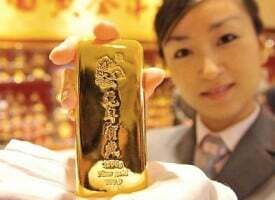 "Gold and silver sold off on Friday, when much of the world was celebrating the May 1st Labor Day holiday. 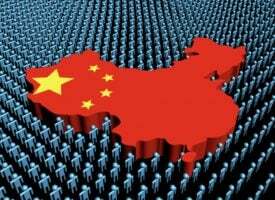 In particular, China – the country with the most voracious appetite for physical metal – was observing a national holiday. So with buyers in many countries focusing on having a good time over a 3-day weekend, instead of opening their wallets to buy physical metal, it was relatively easy for the price-setting markets in the West to push the market lower, which was a point Andrew Maguire made in his KWN interview the other day. But look what happened today, with London closed — celebrating its three-day weekend. Both gold and silver took off to the upside. The reason is that with London closed, the natural sellers of physical metal were silent. These natural sellers are the mining companies that produce metal every day and bring it to the market to sell. So with London closed today, there was no new mine production coming into the market. But there was demand for physical metal in the rest of the world because those markets were open. What this points to, Eric, is more evidence showing how tight physical metal really is. 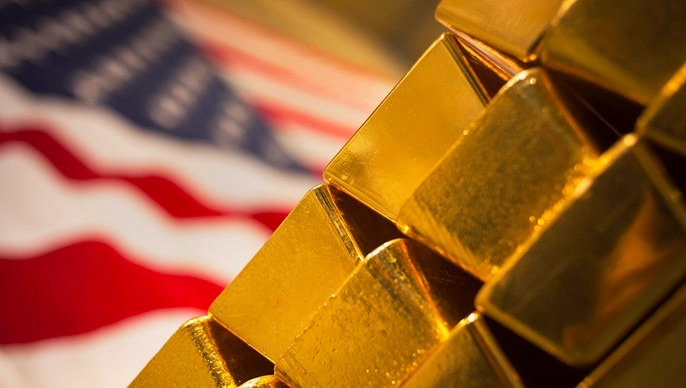 The central planners need whatever physical gold and silver they can get their hands on, whether from their own vaults or from new mine production, to try keeping a lid on precious metal prices at these low levels. And when the central planners don’t have the selling of physical metal from new mine production helping them, the price of gold and silver surges higher. 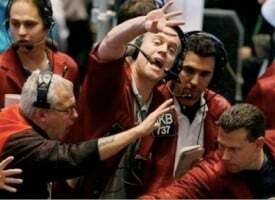 But gold and silver are so undervalued, the central planners are having a difficult time holding gold below $1,200 and silver below $16.20. So it looks like both metals are ready to break higher. 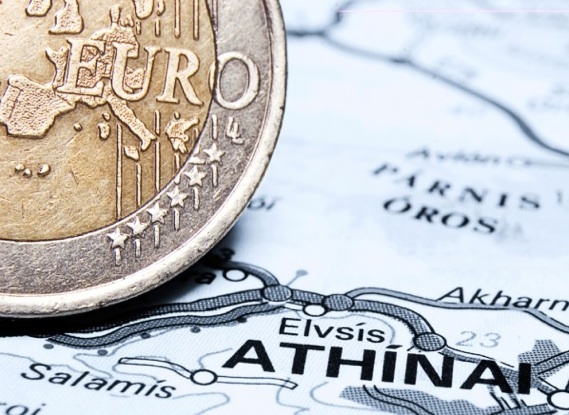 It is been my view that the next trigger to send the precious metals higher will be a Grefault: Greece defaults on its mountain of unpayable debts, causing the ECB to confiscate deposits in Greek banks, repeating what it did in Cyprus. 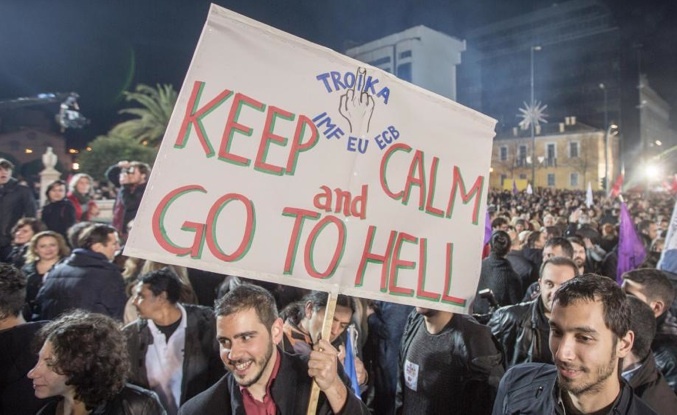 The IMF, EU and the ECB – the so-called “troika” – had pinned their hopes that the Syriza-led government would strike a deal by April 30th for Greece to borrow more money, using this new money to pay off old loans. It’s the “extend and pretend” strategy of paying off old loans in a Ponzi-like way with new loans. In this way, the lenders of the €300 billion of debt that Greece owes would not have to write the debt off their balance sheets. And those lenders are now mainly the troika members themselves – EU governments, the ECB and the IMF – as the Greek debt has been moved out of private banks into public hands to stick taxpayers with the bill when Greece defaults. Anyway, that April 30th deadline came and went. Then the troika called for more negotiations this weekend, which also were not successful. Today they said negotiations will begin again on Thursday, as the troika is desperate for a deal to avoid a Greek default. I’ve lost count how many times the troika has tried to manipulate people’s perceptions by claiming that an agreement is near. But in the end, only one thing really matters. The plain truth is that Greece does not have the financial capacity to repay its debts. In past periods when Greece became over-leveraged, the government in power would print ever-increasing amounts of drachmas in order to lessen the debt burden by eroding the purchasing power of the currency. That’s no longer an option given that Greece cannot print euros to infinity like Zimbabwe and other countries, whose currencies are now in the fiat currency graveyard. So the only way Greece's debt burden will be lessened now is by a default, and I can tell that will send the precious metals significantly higher." ***ALSO JUST RELEASED: 50-Year Veteran Warns Massive Bubble Is Ready To Pop And It's Going To Crush People CLICK HERE. The audio interviews with Rick Rule, Bill Fleckenstein, John Mauldin, Michael Pento, Gerald Celente, Egon von Greyerz, Dr. Paul Craig Roberts, Andrew Maguire, James Turk, Dr. Philippa Malmgren, Eric Sprott, Robert Arnott, David Stockman, Marc Faber, Felix Zulauf, John Embry and Rick Santelli are available now and you can listen to them by CLICKING HERE.